Jonathan Lethem's Motherless Brooklyn was a landmark book, marking the author's transition from a science-fiction writer with some interesting ideas to one of the most respected literary voices of his generation. 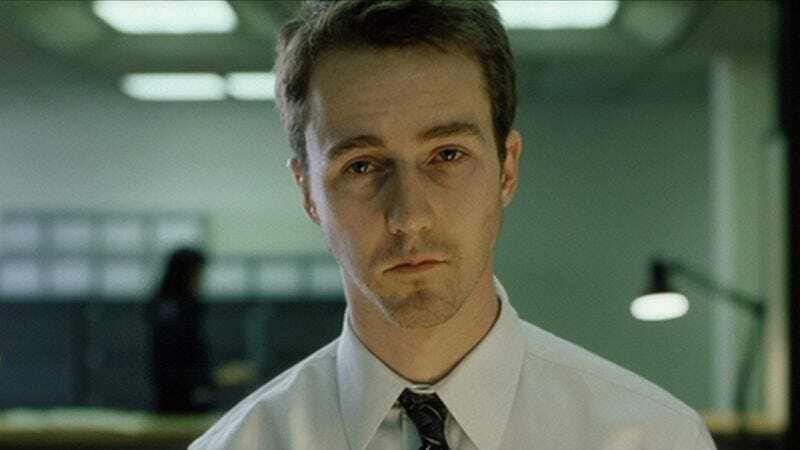 Nearly as soon as it was published in 1999, Edward Norton expressed interest in doing a film adaptation, and fans of the book expressed worry that a movie could do it justice. Now, nearly 15 years later, Norton is finally ready to adapt the film with the financing of new co-producer Brett Ratner, and fans are ready to start worrying again. Motherless Brooklyn tells the story of Lionel Essrog, a Brooklyn native who works for a shady car service. When his boss and mentor goes missing, Essrog takes it upon himself to find him. One of several obstacles in his path is Tourette syndrome, which keeps pulling Essrog into an endless routine of tics and compulsions. In lesser hands, the Tourette's angle could come across as gimmicky or exploitative, but Lethem walks a careful line, making Essrog's plight sympathetic and realistic. Can a film adaptation possibly walk that same line? Lethem spends a lot of time in Essrog's head, showing you how Tourette's derails his thought process. That may be difficult to translate to the screen. As an actor, Norton is probably one of the few people alive who could do such a demanding role justice. But Norton also plans to direct, and with only one film under his belt (2000's slight comedy Keeping The Faith), it's anybody's guess whether he's up to the task. Early signs are somewhat worrying, as Norton has announced he's changing the story's contemporary setting to 1954, and Ratner describes the lead character as a "brilliant private detective"—when, in the book, he is neither of those things. So, the film could still be great, but there's a lot of potential to get it wrong here. Expect fans to watch its development closely as the film nears its likely 2015 release.